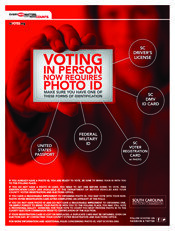 Registered voters cand get a voter registration card with a photo from the Pickens County Registration & Elections Commission during normal office hours by simply providing your name, date of birth and the last four digits of your Social Security Number. Click here to learn how to register to vote. 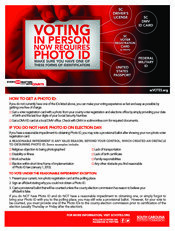 If you do NOT have Photo ID and do NOT have a reasonable impediment to obtaining one, or you simply forgot to bring it with you to the polls, you may still vote a paper provisional ballot. 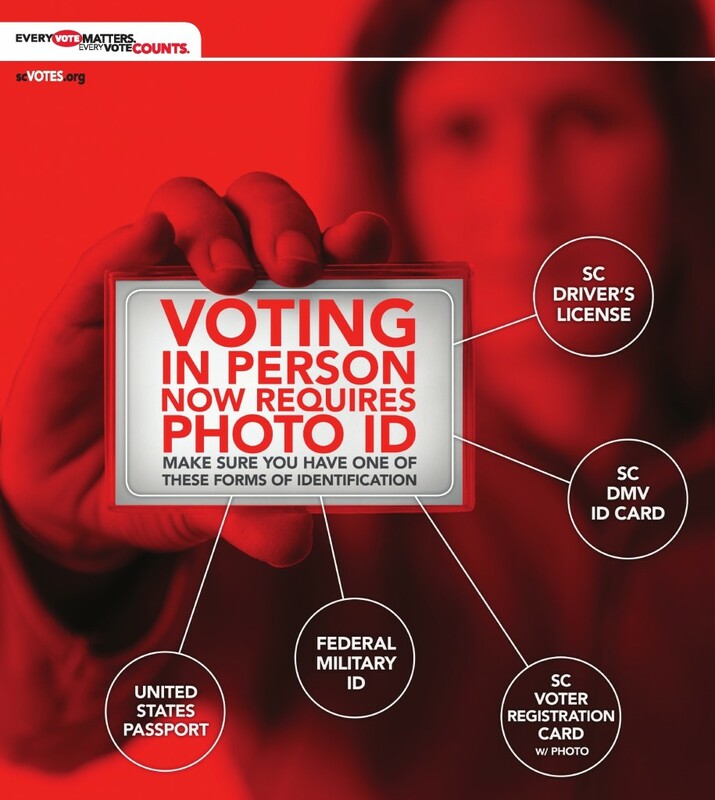 However, for your vote to be counted, you must provide one of the Photo IDs to the Pickens County Registration & Elections Commission prior to certification of the election (usually Thursday or Friday after the election).